For the past fifteen years, The Governor’s Academy community--students, families, staff and faculty--has generously supported Ozzie's Kids, a program founded by Officer (now retired) Ozzie Hardy to provide some sort of holiday for children at risk. Officer Hardy gathers names of children from the most needy families in Haverhill and tries to provide a holiday for them. Each year of participation we have improved our sponsorship, and last year the generosity of our community provided over 100 children with a holiday. Officer Hardy already has a list of 600 children, and we want to try to help his organization as much as possible. If you would like to sponsor a child, you need to let us know by emailing ozzieskids@govsacademy.org. If you sponsor a child, you are responsible for providing a minimum of 5 gifts, including a warm coat and warm outfit. We are only given the name and age of the child, so sponsors must estimate sizes. Occasionally we do have some sizes needed in advance. Delaney '19, Rachel '19, Daniel '19, and Miki '19 are running the program at the Academy this year. They will be assigning families with the name(s) of children to sponsor. 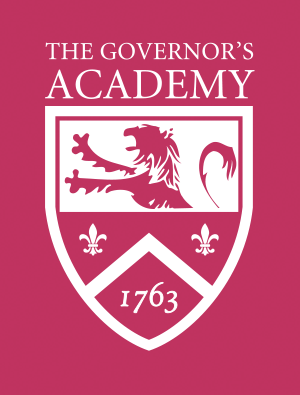 They can be reached via email at ozzieskids@govsacademy.org. All donations are due by Wednesday, November 29, 2017. Please think about joining us in this annual endeavor.